What settings do I need to change in QuickBooks Online before syncing? 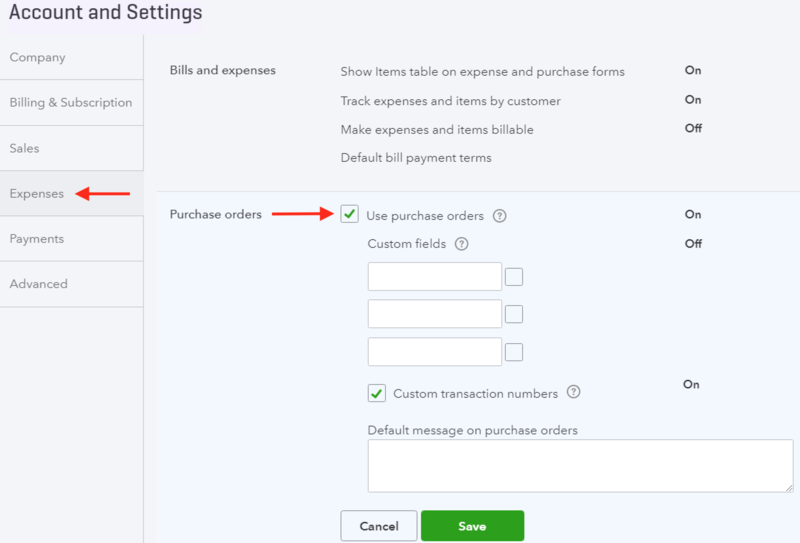 Before you get started, you'll want to enable a few settings in QuickBooks Online that are disabled by default. 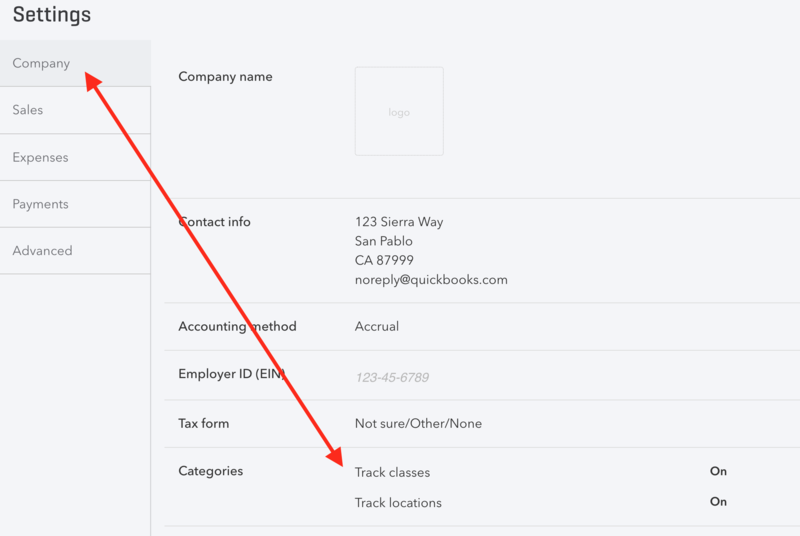 If you're already familiar with QuickBooks Online, then you'll need to enable the following settings under "Account and Settings." Follow our guide below for instructions otherwise. Purchase Orders should be enabled because some transactions may require them, like Vendor Expenses and Vendor Credits. The options below should also be enabled. If you are using QuickBooks Online Simple Start or Essentials, then some of these settings may not appear. While these settings are optional, they allow for more detailed reporting when used. To change these options, you'll need to access your account settings. You can do so by clicking on the Gear icon on the top right corner of your screen. If you can't find the options in the screenshots below, then you're on a slightly different version. Skip to the end of this article to see alternative location for classes and locations. Or go through each tab to find the proper settings. 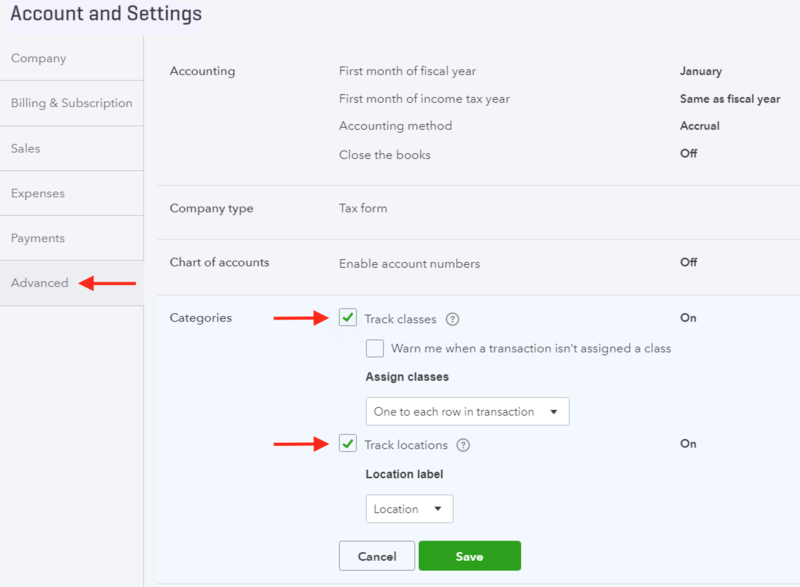 Once you are on the settings page, you can modify the recommended settings for proper accounting. To turn on quantity and price/rate and inventory tracking, click on the "Sales" tab and then "Products and Services." 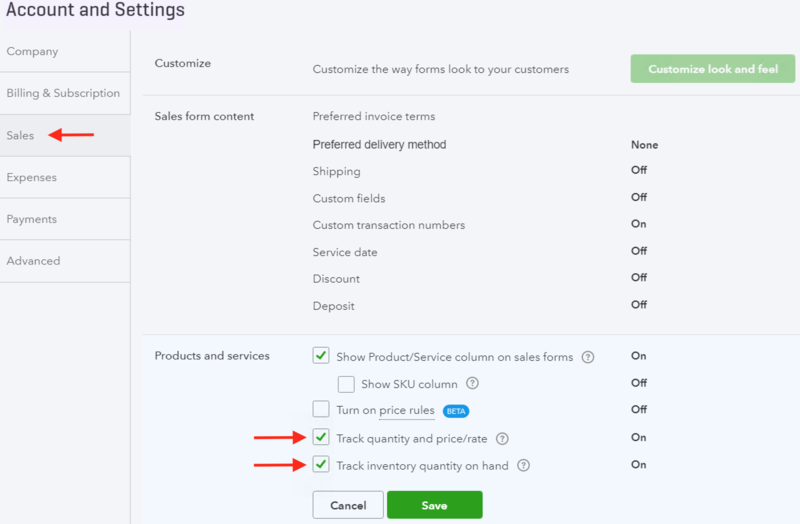 Select both "Track quantity and price/rate" and "Track inventory quantity on hand" to turn them on. Click on "Save" to save your changes. Next, click on "Expenses" and under "Purchase orders", select "Use purchase orders" to turn it on. Click on "Save" to save your changes. Finally, click on "Advanced." Under "Categories," select "Track classes" and "Track locations" to turn them on. Click on "Save" to save your changes. That's all we'll need before we get started with the data import. If you need to enable Multicurrency support, then scroll down under the "Advanced" tab to find that setting. This setting should be turned on if you sell on a marketplace that uses a foreign currency.